In part one of this blog, I introduced the communication spectrum. In part two we will look at some conceptual tools to support an engagement ethos. The communication spectrum prompts us to ensure most of our communication is either engaging or appreciating. Here are a few tools to support engagement practices. In part three we will take a closer look at appreciation. Engagement infers establishing rapport and mutual understanding with others, supported by communication skills, such as active listening, that you are probably already familiar with. This simple and elegant model shows us that engagement happens when our understanding of an issue is consistent with the person we are communicating with. 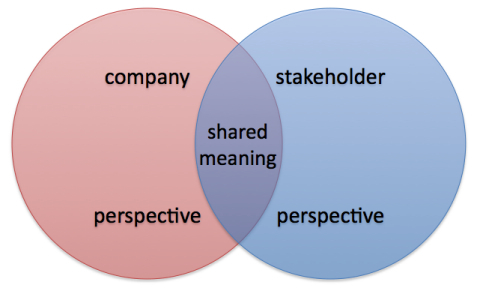 As engagement deepens, we can expect the overlapping area of shared meaning to grow. 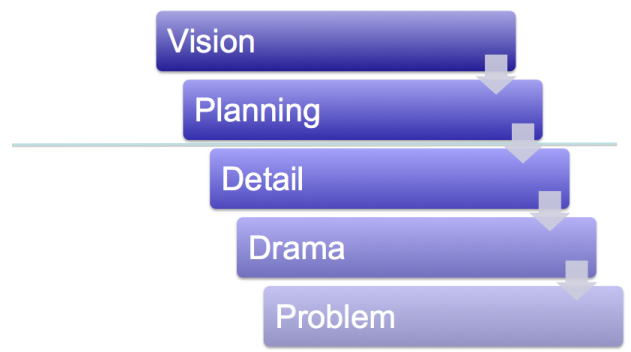 In his book Quiet Leadership, David Rock identifies 5 levels of focus as in the diagram here. 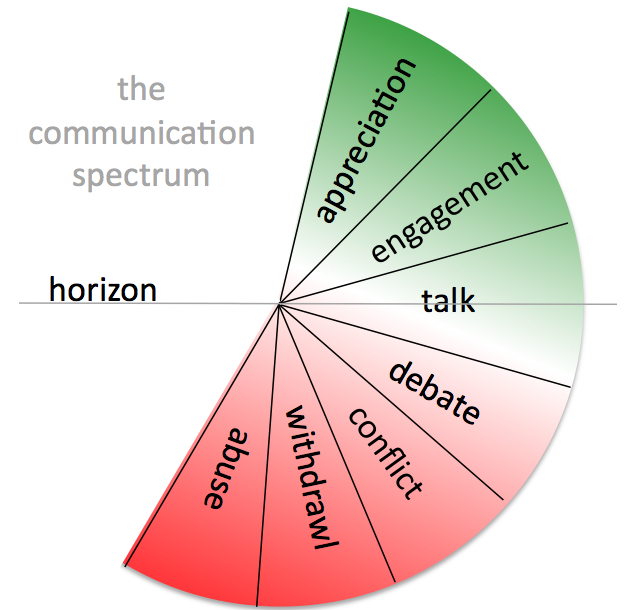 As with the communication spectrum, it has a horizon, and we need to be mindful that staying beneath the horizon too long is not good for communication. How often do you encounter those who tend to spend too much time communicating detail, problems and drama? Being mindful of the level of focus helps us to refocus on vision. This should ensure your communication is more engaging, especially when the vision expressed is relevant and inspiring for both parties. The key here is mindfulness – being able to be engaged in the communication, while at the same time being aware of the communication dynamics. This is no easy task, but comes easier with practice. Peter and Susan Glaser teach a four-step model to facilitate communication. It is especially useful to enable a group of people to each identify and communicate something of importance to them – it enables lots of voices to be heard. Each participant gets a minute in total to make a point, support it with a reason, provide a brief example and quickly summarise. Try it in busy meetings, and to draw out the essence of someone’s thinking. You may be aware of this idea from Stephen Covey’s 7 Habits of Highly Effective People. Think of your communication as a transaction. Each time you communicate positively, you are making deposits in the other person’s emotional bank account. But when you criticise, or argue, you are making a withdrawl. 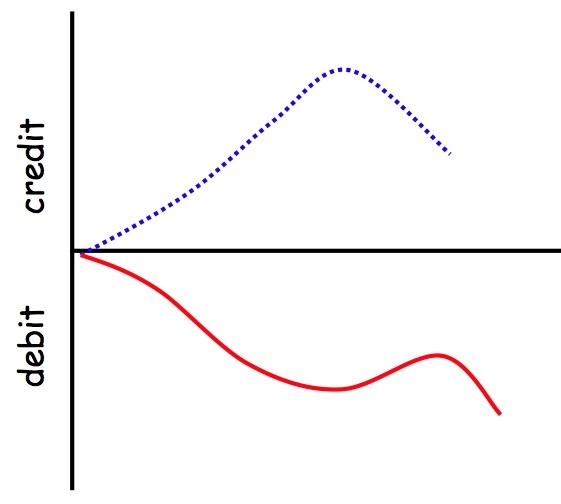 This concepts illustrates how continued withdraws will soon “bankrupt” a relationship. The best way to prevent this is to make frequent deposits. These concepts are simple but profound. Imagine how your workplace would change if there was solid intention and action to embed these engagement practices. If you think your communication has been aligned with these models, please leave a comment and let us know how it has made a difference. This entry was posted in Communication and engagement, Stakeholder engagement and tagged communication models, communication spectrum, engaging, Peter Bruce, Stakeholder engagement by Peter Bruce-iri. Bookmark the permalink. This is very useful information as always. I’ve noted down David Rock’s book as I’d like to explore that avenue further. Consider how often we think we’re communicating only to find out later we weren’t. I wonder how we can check that.